Anita Weiss was born on August 15th in Berkeley, California to Quina and Larry Cooper. She attended School of the Madeleine, Holy Names High School and San Francisco State. Anita met the love of her life, Haskell while working in the engineering department at UC Berkeley; she always said it was his beautiful smile that melted her heart. Their first date was to the play Joan of Arc - and Anita was smitten. Anita and Hank married in 1957 and made their home in Walnut Creek where they raised their family. After Hank passed in 1991 Anita spent later years in Alamo and Danville where she nurtured beautiful gardens and was truly an azalea whisperer - no one could surpass her talents with this beautiful botanical. 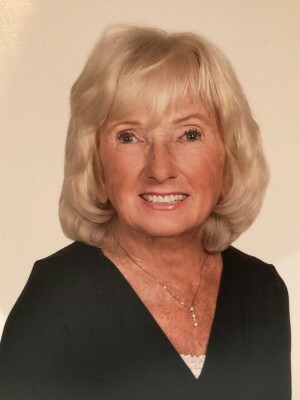 Anita was a member of the St. Isidore Parish in Danville where she attended daily mass for many years and got to know and develop so many valuable friendships. Nothing gave Anita greater joy than her six children: Debbie Weiss, Dana (Paul Weiler ) Michael Weiss (Francesca), Jan Weiss (Craig Andersen), Sharon (Don Leone) and Carrie (Mike Shapiro) and Anita enjoyed nine beautiful grandchildren, Jordan, Arielle, Ryan, Josh, Lauren, Cole, Brett, Matt and Scott plus one precious great-grandson August. Additionally she is survived by her brother Paul Cooper of Pleasant Hill, sister-in-law Marie Cooper of Pleasant Hill and sister in-law Barbara Cooper of South Lake Tahoe plus numerous nieces and nephews. Anita is preceded in death by her brother Richard Cooper. Many thanks to the loving team at The Reutlinger Community of Danville and by her very special caregiver Virgie Birch as well as Continuum Hospice Care for the support they gave Anita and her family in her last days. If desired, a donation may be made in Anita’s memory to The Reutlinger Community.